Auto accidents causing serious injury or death often present legal complications that are best handled by an experienced auto accident attorney. Victims who deserve the maximum available compensation after a Connecticut car wreck often turn to Tina Sypek D'Amato, attorney at law, for dedicated counsel and representation. To schedule a free initial consultation after a fatal semi truck wreck or a car accident involving an uninsured motorist, contact the Law Office of Tina Sypek D'Amato. Lawyer Tina Sypek D'Amato, with offices in Bridgeport, is prepared to assist injured motorists, injured bicyclists, and pedestrians hit by cars or other vehicles. The goal of the Law Office of Tina Sypek D'Amato is to ensure that injured and bereaved parties receive the maximum available compensation from any and all responsible and liable people, entities such as trucking companies, and insurance companies, per policy terms and in accordance with the severity of the injuries and the facts of the truck or car accident. The car accident law firm of the Law Office of Tina Sypek D'Amato often handles cases involving complexities such as hit and run or carelessness on the part of a car accident victim. 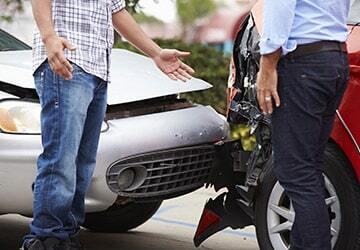 All car accident claims and lawsuits handled by the Law Office of Tina Sypek D'Amato are prepared with the understanding that Tina won't just try to negotiate a settlement, she will go to court if necessary to achieve satisfaction for the injured client.